As automation experts we provide solutions for monitoring all the relevant safety functions on wind turbines. Many years of experience from the field of industrial automation have helped us to understand the requirements of a wind turbine. Solutions for many wind turbine manufacturers worldwide are tailored specifically to the industry and argue the case for Pilz. In continuous operation, wind turbines are exposed to the most varied climatic and environmental influences. In the process they must operate efficiently and high availability must be guaranteed. To achieve low downtimes, the turbine must be protected against overload. An investment in the safety of wind turbines not only offers economic benefits but also guarantees the protection of maintenance personnel. Wind turbines are subject to international standards and directives such as the Machinery Directive (2006/42/EC) and IEC 61400. 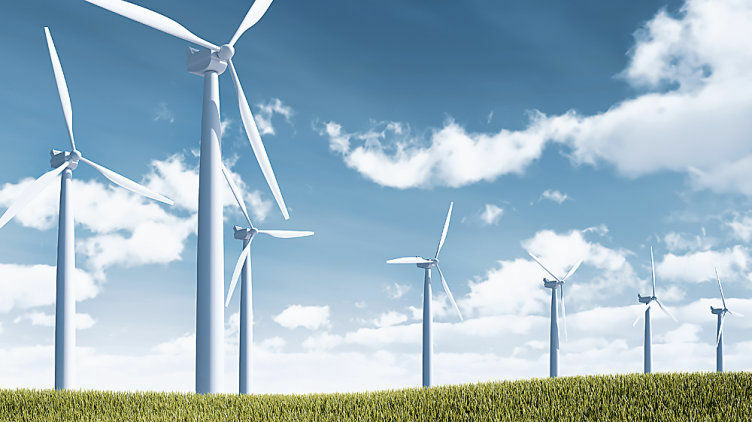 Use a safety and automation solution that's specifically tailored to your wind turbine. We can help you create your individual safety concept. 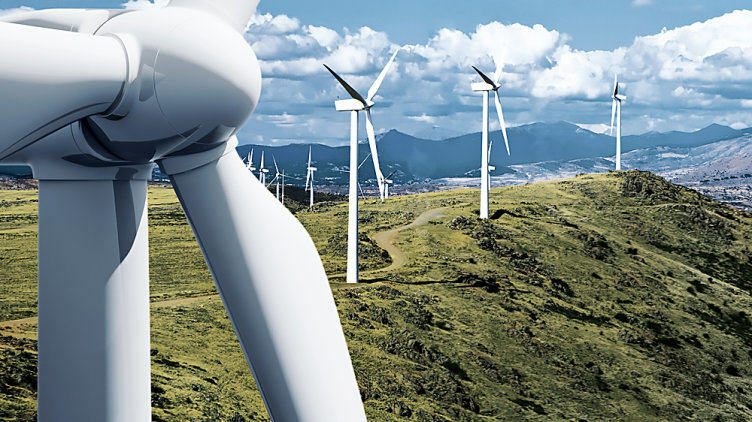 Your safety partner Pilz offers reliable components and solutions that are already proven in wind energy. So you can benefit from the simple integration of our safety systems, remote diagnostic options, remote maintenance and rugged product types. We offer certified solutions (TÜV/BG/CE/UL/CCC/GOST) for worldwide use, which meet international regulations such as the Machinery Directive (2006/42/EC), IEC 61400 and guidelines published by Germanischer Lloyd. Pilz solutions provide clear benefits, particularly where standard-compliant speed monitoring is concerned. There are various options to choose from when implementing standard-compliant speed monitoring on wind turbines. Our control systems can be scaled for various encoder combinations, achieving safety levels up to PL d and PL e.
Pilz offers scalable solutions for every size of turbine. Our current wind turbines leaflet provides further information on all products for the safe automation of wind turbines. Find out more about the subject of wind power in our download area, with our flyers on safety solutions for wind turbines. Further questions? Just contact us!